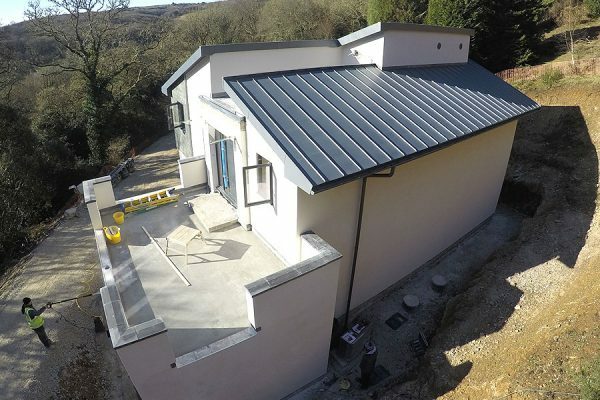 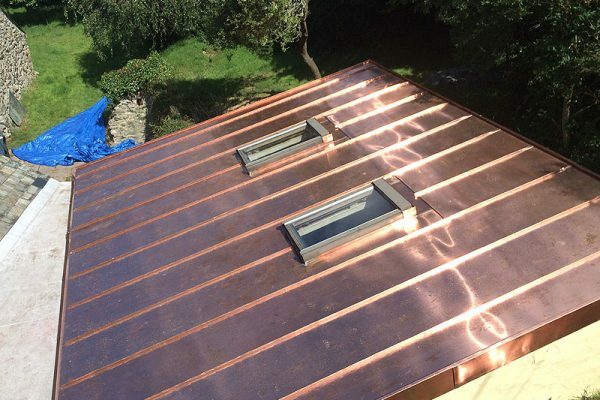 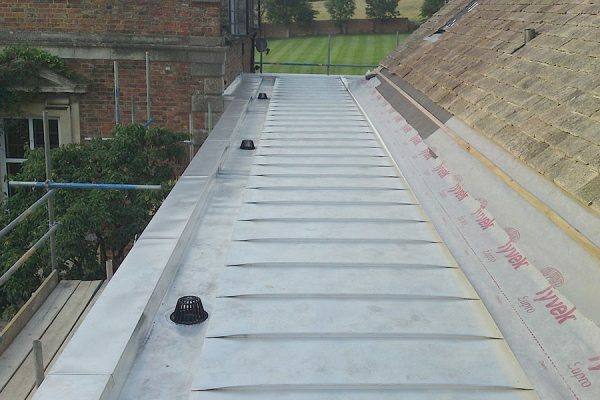 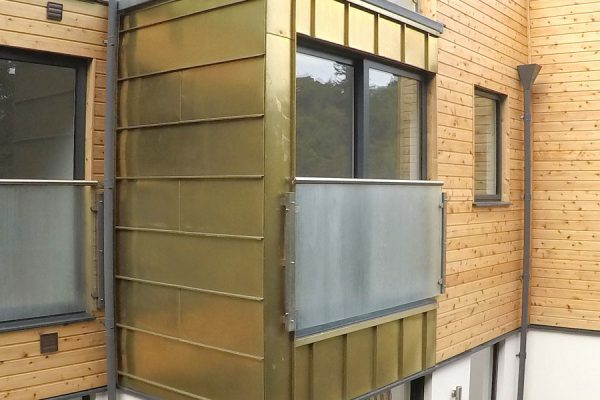 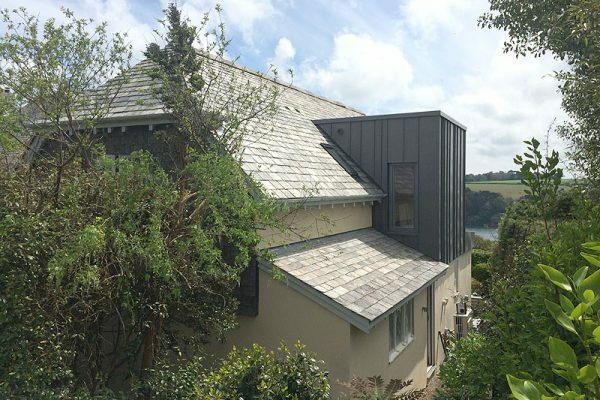 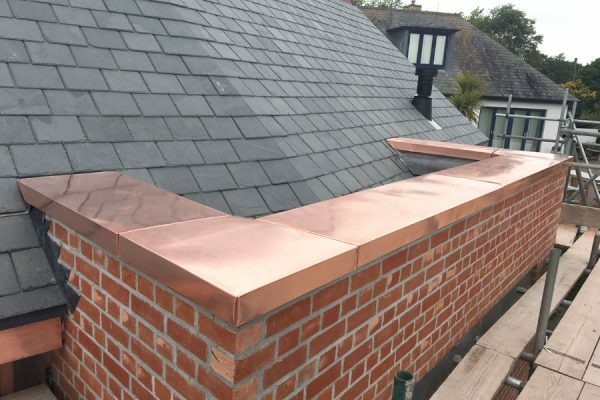 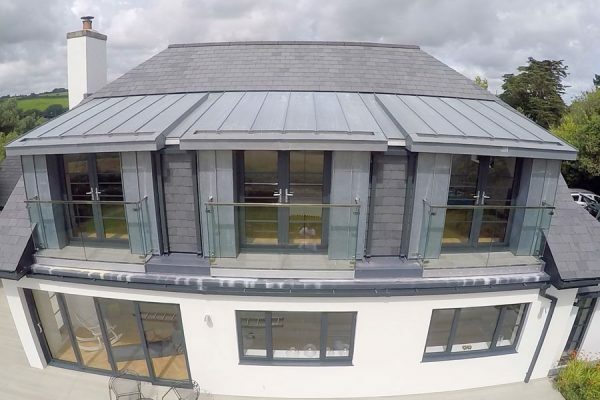 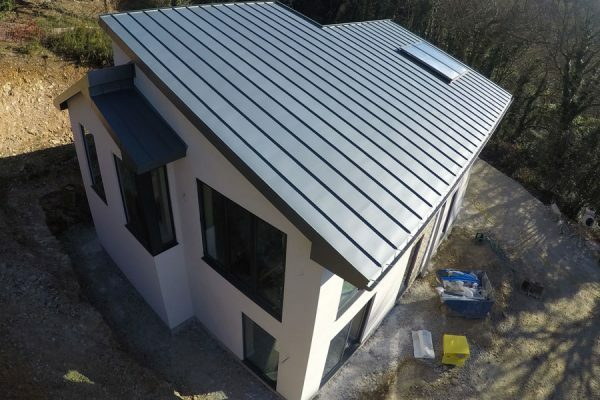 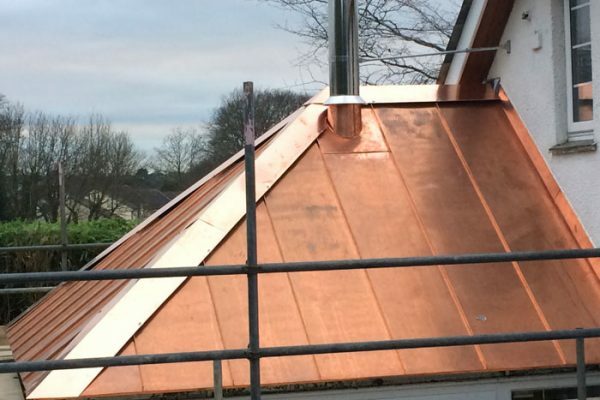 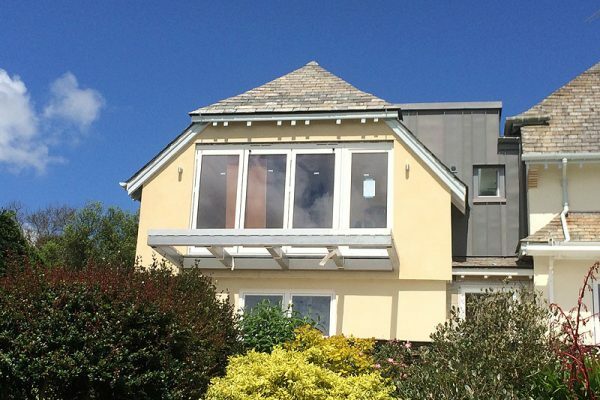 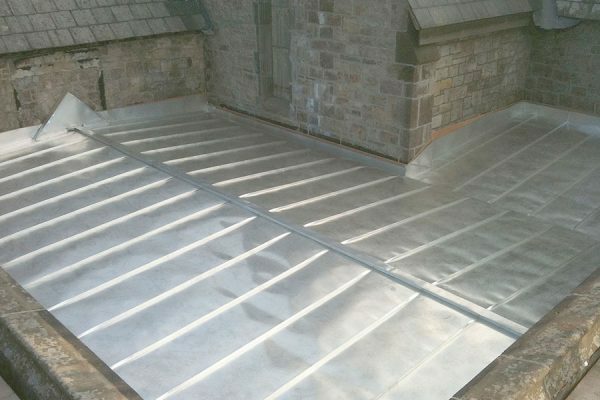 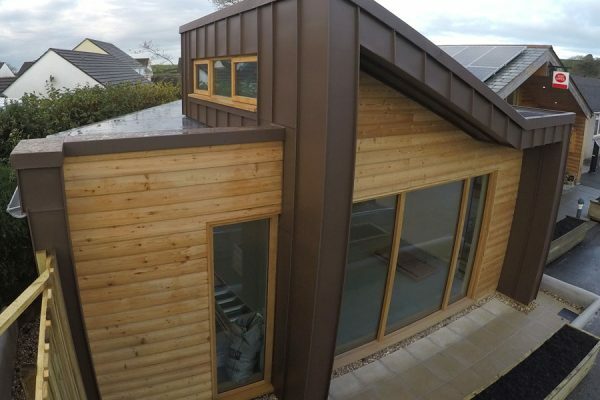 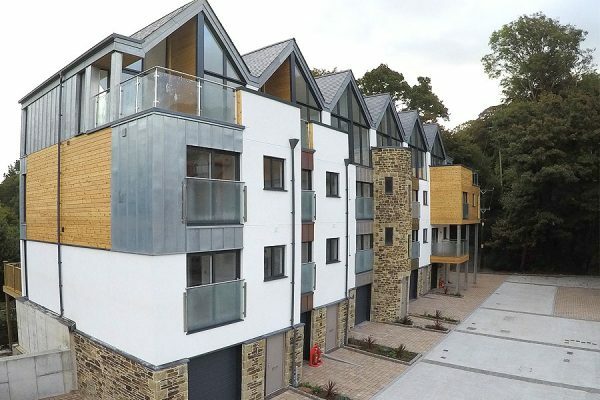 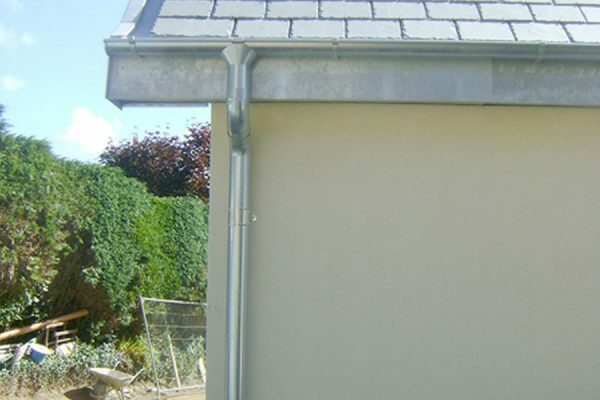 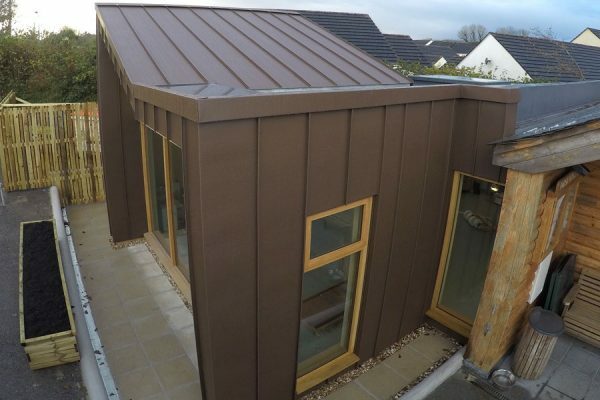 Cornwall Zinc Roofing are specialists in Hard Metal cladding, such as Zinc, Copper, Stainless Steel, Aluminium, Vieo Zinc. 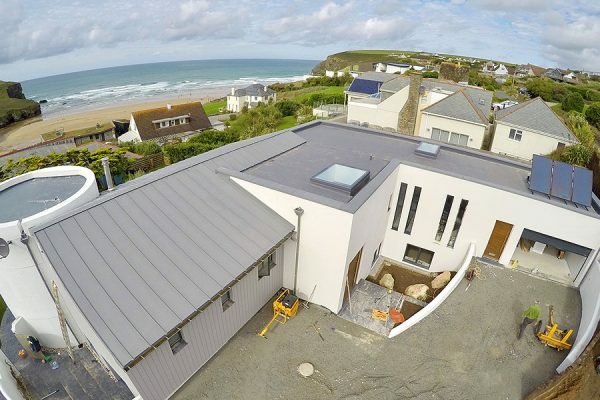 We are Cornwall’s number 1 go to Zinc installer. 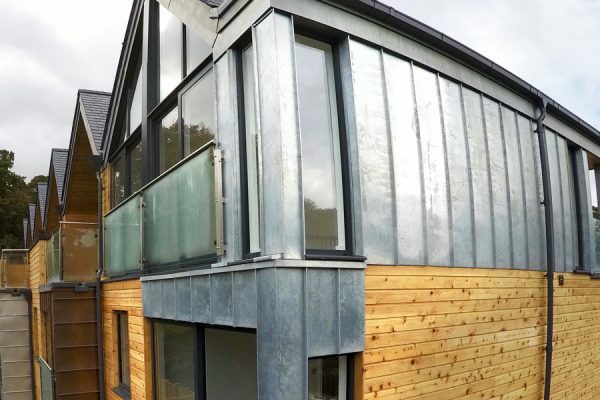 The wonderful aspect of Hard Metals is that they are adaptable and able to be shaped to follow curves and angles which makes them very useful for old Cornish buildings. 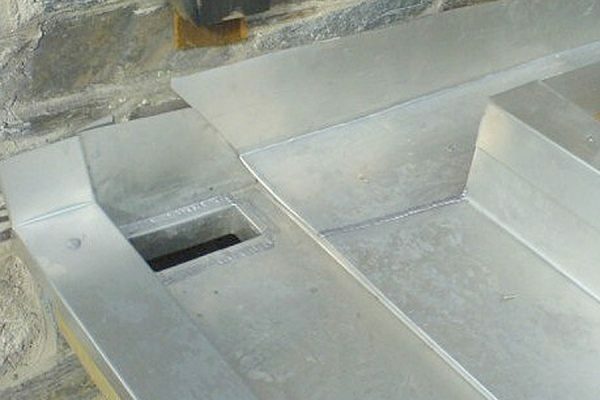 Check our FAQ Page for commonly asked questions. 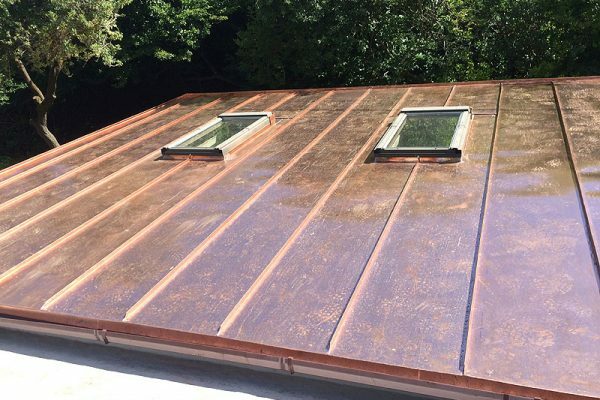 Metal roofing is every corrosion resistant and has high levels of durability. 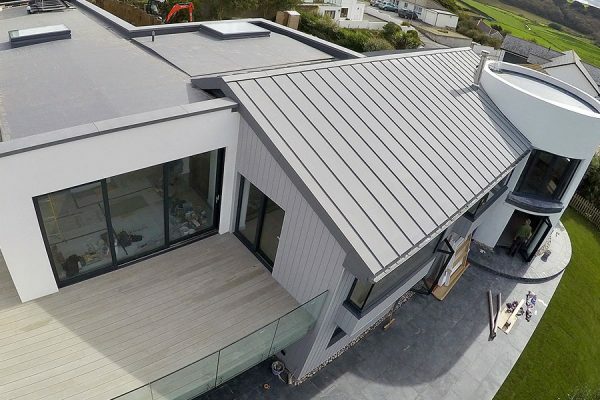 Given this durability, it is no surprise to learn that Metal roofing is a popular choice for domestic and commercial property owners. 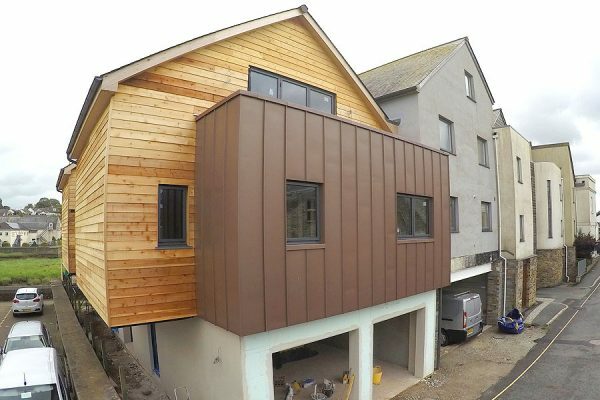 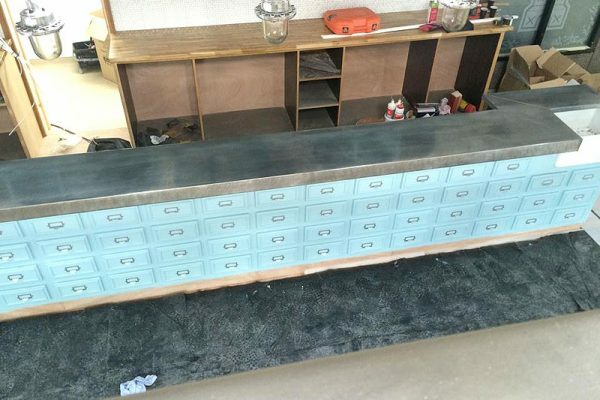 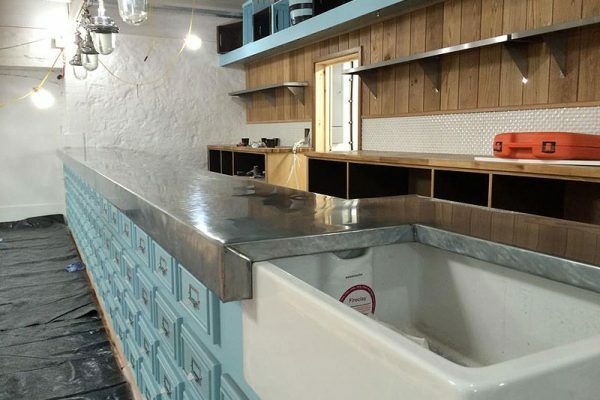 Below is a small slideshow of our latest projects. 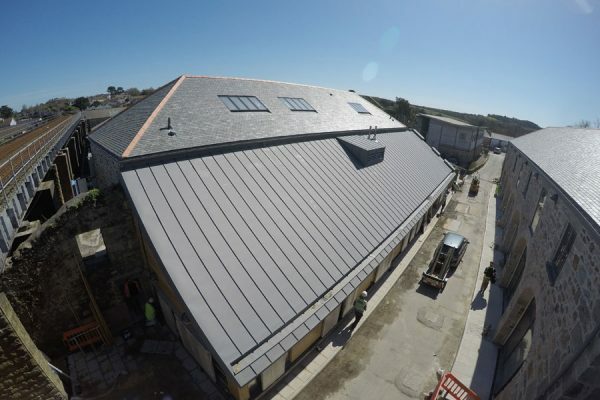 The first slide is replacing an old leaking conservatory roof with metal; then four slides show a reclaimed Delabole slate roof with zinc clad dormers; a new development overlooking the River Fal in VM Zinc; a couple of shots of a zinc bar top fitted for St Austell Brewery and finally the removal of a leaking low pitch slate roof and finish in metal.